The second generation E20 Toyota Corolla was introduced mid-year in 1970 and featured a few small inline 4 cylinder engines as options. 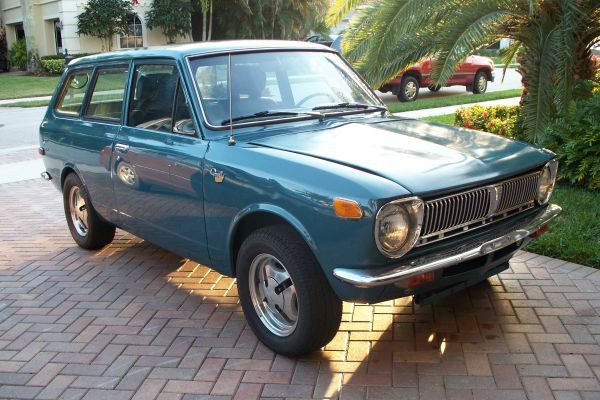 The lightweight rear wheel drive Corolla was available as a coupe, sedan, station wagon and van, and most of them have rusted into oblivion in the past 43 years. 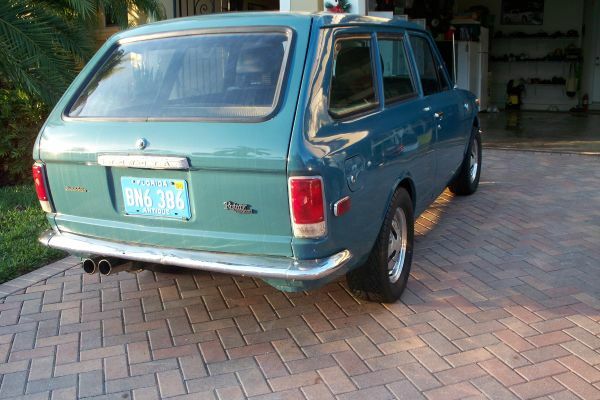 A few remain, like this 1970 Toyota Corolla wagon with a 13B Mazda rotary engine swap; for sale in Palm Beach Gardens, FL for $6000 via craigslist. This diminutive 2-door wagon is offered in a handsome shade of blue and looks nice for the asking price, although an example with the stock power-train probably wouldn't reach $6k in museum quality. It rides on a set of appropriately sized aftermarket wheels and we hope someone can add a comment to let us know who makes them. The stock Toyota inline 4 has been tossed in favor of a Mazda 13B rotary (probably from an RX-7). The 13B is a 1.3 liter twin rotor setup that puts out 230 horsepower in this configuration (according to the seller). 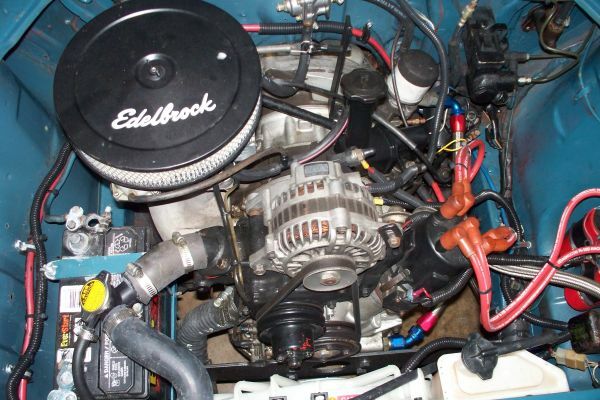 Fuel injection has been eschewed in favor of a 600 CFM Holley carburetor - a surprisingly common modification for the notoriously difficult to tune rotary fuel injection systems. The inside has been hacked up a bit - it has an undisclosed number of pieces from a late model Toyota MR2 bolted amongst the stock E20 (or is this an E10...) pieces. The addition of swapped interior parts can add or subtract significant value from a classic and we'd need to see this one in person to make a proper judgement. This wagon will spark some interest in just about any gear-head - starting with the coolness of a 2-door wagon and continuing to the sound of angry hornets buzzing out of the exhaust pipe. 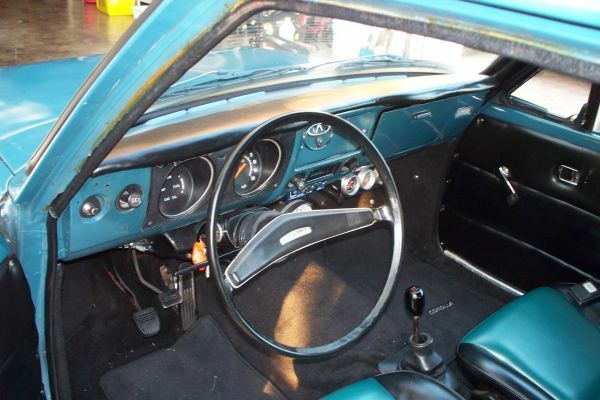 That said, the asking price is pushing the top of the market for a vintage Corolla and would need to be in very useable condition to pull that kind of cash...however, its a smoking deal compared to any number of overpriced late 60s/early 70s classics. ~ this is quite a cool little wagon. and i think it's appearance makes the engineering look deceptively simple, a compliment to the builders skill. I know this post is old but I was looking through the old posts because that's just the kind of car geek I am. Those wheels are from a late 70s to early 80s Corolla. My 82 SR5 Hatchback had them. 13" if anyone was still wondering. ke18 body, i still have mine running in original white. and its sprinter sibling next to it.